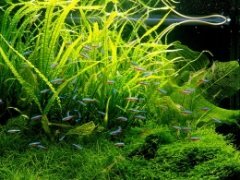 If you've ever tried to find fancy, branchy driftwood like they use in the aquascaping competitions, you probably got frustrated by those horrible looking sandblasted stumps nailed to an unwieldy piece of slate that every pet shop seems to have exclusively. Buying it online isn't exactly easy either, since you often don't get a piece that looks like the picture. Finding good driftwood is tough. 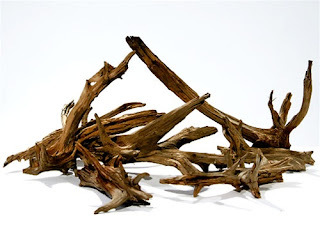 Always a pioneer in providing aquascaping basics to hobbyists (like ADA Aquasoil and ADA rimless tanks), Aquarium Design Group has recently started selling custom pieces of driftwood, called TX Select. No, they won't just send you anything they have in a size range, they'll send you the exact piece pictured. How cool is that? Although it's a little pricey (a medium piece will set you back $50-75), you know what you're getting, and it's been used in hundreds of their amazing layouts before with minimal tannins and minor buoyancy. humm... $50-$75 is expensive for an old peace of wood but if you can actually chose the one you want, that's great. Something in me rebels at paying anything for a piece of driftwood. I'd rather go searching around the bogs, and test some wood out in a non-show tank that I find. Other people's mileages may vary, I guess, with that approach. I go gaga for nature aquariums and I plant to get another large peice in the near future. I really feal like just using one I'd find near water. I agree, I find it too expensive. Going out to the woods or the riverside can provide not suitable, but suitable woods too. It's a matter of investigating what trees live near water, don't have resin or excessive tannins, look for their roots (not the aerial branches) and try them for a time in test aquariums. Come back and post again! We miss you. http://roostershamblin.wordpress.com/ please spend a few minutes reading my website about chickens. To be honest, it's like this. You aren't just paying for a piece of driftwood, you get exactly what you want, with minimal tannins and little to none buoyancy (might need a little anchoring in the substrate or gravel). Try getting a guarantee in nature! You might end up finding a piece of driftwood that has a chemical coating and then kill all your plants and fish when you put it in your tank! I think its worth it to buy them. Contest results are out. Some nice scapes in there. But in my opinion the scorings vary considerably. I have looked a great deal for my own driftwood locally, and had spent a lot of wasted time doing it. I have never seen driftwood that looks like this stuff anywhere near where I live either in stores or the wild, so the $50-$75 is fairly justified in my opinion. I raise dwarf shrimp and they need stuff to climb on. i will like to exchange links with you, i have a news blog with 100% unique content. I personally dropped by the Aqua Design Group's store/warehouse today. They're still building the storefront and setting up the aquariums. Incredibly clean and organized. Stepped into the back warehouse and they have TONS of driftwood back there. These pieces of wood were quality grade wood. Frank & Jeff at ADG really go out of their way to give customers what they want. They take pictures with measurements and wet the wood/rocks for actual color underwater. Yet, a lot of people keep backing out on them because of the prices. It's really a shame. These guys are working so hard to sell the wood this way... simply because they believe that this is how it SHOULD be done. As a matter of fact, Takashi Amano saw ADG's wood and is actually purchasing it himself. Now, that it's officially ADA wood, people want their hands on it... silly if you ask me. You could've had it before at a completely reasonable price. But, now that it's actualy ADA wood, you've got to deal with a mark-up. Nevertheless, the guys over at ADG truly are an amazing bunch and a pleasure to do business with. I have found that the peice of driftwood that i have cured myself still leaks small amounts of tannins. I cured this rather large peice for around 3months b4 placing it into my tank, it has now been 5months and it is starting to not leak as much tannins anymore and the fish love hiding in the hollow and underneath it for protection and cover. this peice of driftwood in rather large weighing in at 22kg when dry, its around 120cm long. I'm assuming they've changed the product line?